Hans Maas of Woburn, February 1st. Beloved husband of the late Henrica P. (Van der Hoeven) Maas. Devoted father of Barbara Maas, her husband Paul Theriault of Woburn and Elisabeth DeFronzo and her husband Christopher of Ellicott City, MD. Loving grandfather of Julian DeFronzo, his wife Becky of FL. Dear brother of the late Julia Van Gunst, Jan, Edward and Elise Maas. Hans is also survived by many cherished nieces and nephews. At the family’s request, relatives and friends are invited to A Celebration of His Life on Friday February, 8th from 3-7 p.m at the 2nd Floor Function Room, located at 100 Place Lane, Woburn MA 01801. In lieu of flowers, memorial contributions may be made to: Doctors Without Borders, PO Box 5030 Hagerstown, MA 01741. Arrangements are under the direction of Lynch-Cantillon Funeral Home 263 Main St., Woburn. Hans August Maas, of Woburn, formerly from Lexington, died on February 1st, 2019 at the age of 88. Hans was the youngest child born to parents Julius and Elisabeth (Teerlink) Maas in Bandung, Indonesia. 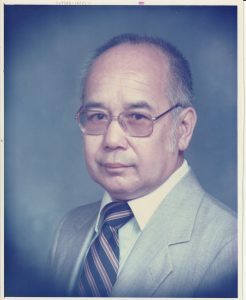 In 1947, he left Indonesia and went to the Netherlands where he attended trade school for Instrumentation Manufacturing and received his degree in Aircraft Mechanical Engineering from the Luchtvaart Technical School in The Hague. Following college, he served in the Dutch military then worked at the National Research Council in Delf. In 1957, he married Henrica P. van der Hoeven and together they had two daughters. In 1960, they immigrated to Canada where he worked for RCA as a Process Engineer. He then immigrated to the United States in 1972 and worked for Digital Equipment Corp. in Westfield, MA, as a Senior Manufacturing Engineer until retiring in 1992. After retiring to Cape Cod with his wife, Hans worked as a Process Consultant for Larian Products to improve the manufacturing process of the Bagel Biter. He also volunteered at Mended Heart as a resource for cardiac patients and their family. Hans enjoyed travel and was an avid photographer. His passion had taken him to Yosemite; Alaska; Costa Rica; Cuba; Yellowstone; Churchill, Canada, and Bali, Indonesia to name a few. He had always kept up to date on the latest technology. Hans is survived by his two daughters, Barbara Maas and her husband Paul Theriault of Woburn and Elisabeth DeFronzo and her husband Christopher of Ellicott City, MD; and his grandson, Julian DeFronzo and his wife Becky of Florida and numerous nieces and nephews. He is predeceased by his wife, Henrica; his parents Julius and Elisabeth; his siblings Julia Van Gunst, Jan, Edward, and Elise Maas. A Celebration of his life will be held at the 2nd Floor Function Room located at 100 Place Lane, Woburn. MA 01801 on Friday February 8th from 3-7 p.m. In lieu of flowers, memorial contributions can be made to Doctors Without Borders, USA. PO BOX 5030 Hagerstown, MA 01741. Arrangements are under the direction of Lynch-Cantillon Funeral Home 263 Main St., Woburn. At the families request, relatives and friends are invited to A Celebration of His Life on Friday February, 8th from 3-7 p.m at the 2nd Floor Function Room, located at 100 Place Lane, Woburn MA 01801. In lieu of flowers, memorial contributions may be made to: Doctors Without Borders, PO Box 5030 Hagerstown, MA 01741.